Offers many of the functional benefits as liquid hydrogen peroxide in a stable solid form. Improves the cleaning, bleaching, stain removal and deodorizing performance of powder detergent formulations, all fabric dry bleaches, denture cleaners, automatic dishwasher detergents and various institutional and industrial laundry products. 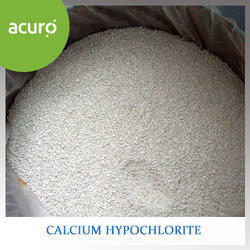 Calcium hypochlorite is a chemical compound with formula Ca(ClO)2. It is widely used for water treatment and as a bleaching agent (bleaching powder). This chemical is considered to be relatively stable and has greater available chlorine than sodium hypochlorite (liquid bleach).Calcium hypochlorite is used for the disinfection of drinking water or swimming pool water. It is used as a sanitizer in outdoor swimming pools in combination with a cyanuric acid stabilizer, which reduces the loss of chlorine due to ultraviolet radiation. The calcium content hardens the water and tends to clog up some filters; hence, some products containing calcium hypochlorite also contain anti-scaling agents.Calcium hypochlorite is also an ingredient in bleaching powder, used for bleaching cotton and linen. It is also used in bathroom cleaners, household disinfectant sprays, moss and algae removers, and weedkillers.In addition, calcium hypochlorite may be used to manufacture .Bleaching powder is used also in sugar industry for bleaching sugar cane juice before its crystallization. Sodium percarbonate is a free-flowing powder with a common name of solid hydrogen peroxide, it is an addition compound of sodium carbonate and hydrogen peroxide. 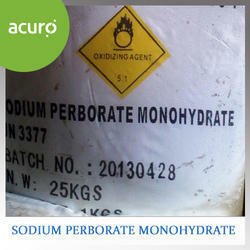 Sodium percarbonate has an active available oxygen content which is equivalent to 27.5% H2O2. It breaks down to oxygen, water and sodium carbonate upon decomposition. 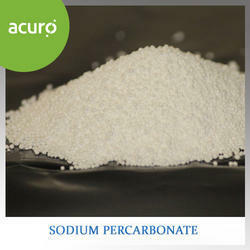 Sodium percarbonate offers many of the same functional benefits as liquid hydrogen peroxide. This is a kind of new oxygen bleaching agents, with the functions of cleaning, whitening, brightening and sterilizing. It is suitable to be the material for low-phosphorus or non-phosphorus washing powder. It is used as bleaching agent and reducing developer in the textile industry. It can separately used as disinfector, remover etc. No environmental hazards-it breaks down to oxygen, water and sodium carbonate (soda ash) in your wash water. Ideal stain removal capability; it is very effective as a laundry presoak for heavily stained articles. It is used to for deodorizing and disinfecting. Sodium Perborate is a stable, solid source of active oxygen. Sodium perborate is considered as a solid form of hydrogen peroxide used as a strong oxidizing agent in various industries including detergent. In comparison with solution of hydrogen peroxide, solid form of sodium perborate compounds provide better conditions of stability and convenient handling. Both the mono and tetrahydrate of sodium perborate are used as oxidising and bleaching agents in cleaning, cosmetic and pharmaceutical preparations but their main application is in detergents. Typically a detergent will contain up to 15 wt% of the tetrahydrate and/or up to 10% of the monohydrate. The monohydrate is preferred if rapid solution is required. 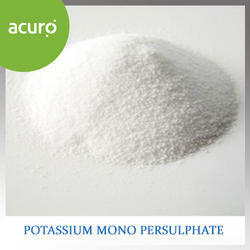 Potassium Monopersulfate compound (Synonyms: Potassium Peroxymonosulfate) is a free-flowing, white granular solid, soluble in water. It is present as a component of a triple salt including potassium monopersulfate, potassium sulfate and potassium bisulfate with the formula 2KHSO5·KHSO4·K2SO4. The oxidation potential of this compound is derived from its peracid chemistry. The compound provides powerful non-chlorine oxidation for a wide variety of industrial and consumer uses. It’s applications may be found in oral hygiene formulations, pool and spa shock and disinfections, paper recycling, printed circuit board etching, wool shrink proofing, precious metal extraction process. The compound is an important auxiliary agent in organic synthesis for oxidizing plenty of organics and functioning as the epoxy oxidizer of the twin bonds of organic chemicals. Potassium peroxymonosulfate can be used to oxidize hydrogen sulfide (H2S) and other reduced sulfur compounds, such as mercaptans, disulfides, and sulfites in waste water treatment. It’s also an oxygen releasing agent in aquiculture and low temperature bleaching agent in detergent formulations. Bulk Density, g/ml 1000 min. Particle Size Distribution Through 20 mesh 100 %. Through 200 mesh 10% max. Stability, % active oxygen loss/month 1 max. Can resume after a short waiting period to allow for adequate mixing and dispersion throughout the pool. Uniformly over the surface of the water, adding about two-thirds of the total dose potassium monopersulfate over the deep end. Internal alkenes may be cleaved to two carboxylic acids, while terminal alkenes may be epoxidized. Thioethers give sulfones, tertiary amines give amine oxides, and phosphines give phosphine oxides. 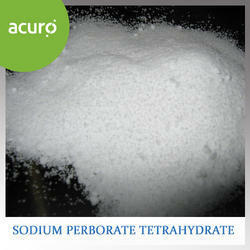 TAED (Tetraacetyl Ethylenediamine) can be added to Sodium Percarbonate to lower down working temperature. Many household and personal care products are formulated with an active oxygen-releasing material to effect removal of stain and soil. Oxygen-releasing materials have an important limitation; their activity is extremely temperature-dependent. Temperatures in excess of 60°C are normally required to achieve any bleach effectiveness in an aqueous wash system. Especially for cleaning fabrics, high-temperature operation is both economically and practically disadvantageous. Thus, bleaching activators have been applied in an object to activate bleaching reaction at low temperatures. These activators, also known as bleach precursors, often appear in the form of carboxylic acid esters or amides. In an aqueous liquor, anions of hydrogen peroxide react with the ester or amide to generate a corresponding peroxyacid which oxidizes the stained substrate. Commercial application of this technology is found in certain fabric bleaching detergent powders that mainly incorporating tetraacetylethylenediamine (TAED). Taed used for detergent industry is in granular form, free-flowing, and has several colors (mainly white, green, blue) to choose depending on users' choice. TAED is typically applied in domestic laundry detergents, automatic dish washing, bleach boosters, laundry soak treatments, to improve the washing performance. TAED could be applied in textile bleaching to react with hydrogen peroxide in the bleach bath to produce a stronger oxidant. The use of taed as bleach activator enables bleaching at lower process temperatures and under milder ph conditions. In pulp and paper industry, taed is suggested to react with hydrogen peroxide to form a pulp bleaching solution. 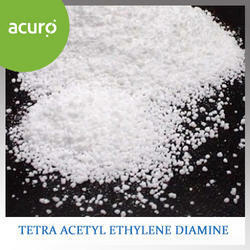 The addition of taed into pulp bleaching solution results in a satisfactory bleaching effect. Looking for Oxygen Bleaching Agents ?